Why would Israel help the Syrian rebels, and what interest would such a move serve? Is Israel helping the rebels in Syria? The Wall Street Journal tried to answer this question via an interview with one of the rebels - who answered in the affirmative. According to the report - which bases itself on two or three rebels - the IDF has kept in constant contact with the rebels, providing economic support and even helping them create a military unit. However, Israel's Ministry of Defense has clearly and consistently kept Israel out of the Syrian conflict, avoiding even the slightest involvement in the fighting. In addition, the Israeli government firmly insists the country never provided any assistance to rebel groups. The only thing Israel has provided to Syrians is humanitarian aid: Thousands of Syrian refugees have crossed the border into Israel to receive life-saving medical treatment, paid for by the Israeli government and possibly at the risk of infecting Israeli citizens with antibiotic-resistant bacteria. Of course, some of these refugees may have been rebels - but that would have been coincidental, not intentional, on Israel's part. Israel, for its part, is more than happy to treat additional Syrians, but the Syrians themselves seem to prefer going to keep their distance from the border with Israel, and find other places to get help. Apparently, the anti-Israel incitement they grew up on makes them reluctant to have anything to do with Israel and the "Zionists" - even if it means giving up on modern medical treatment. However, the Defense Ministry is not willing to involve itself in the Syrian conflicts. Instead, it stands off to the side, watching other players fight, ensuring no terror crosses Israel's border. Who would have a personal, invested interest in saying that Israel is helping the rebels right now? Given that Syrian President Bashar al-Assad hates Israel, he would obviously have a vested interest in connecting the "Zionists" to the rebels, turning the Zionists into an even greater enemy than his country already believes them to be. 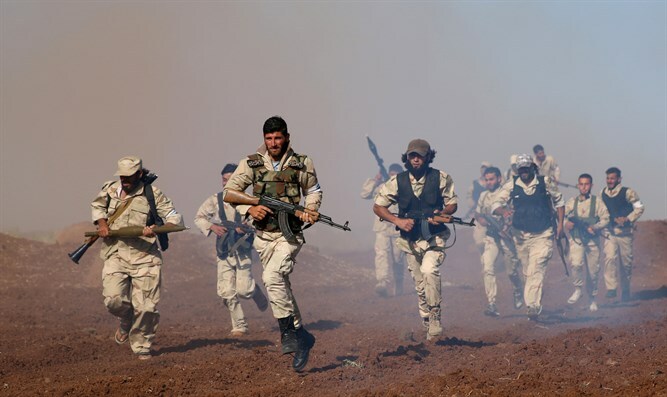 The issue is that the Syrian rebels are not a consolidated group similar to the Syrian army. There are Muslim extremists, there are more moderate types who fight independently, there are a few different organizations, and there are great rifts between each group. The "rebels'" interests are divided between dozens of armed groups, each with its own agenda. Even from the way the rumor was publicized, the humanitarian undertones are obvious. Israel helps civilians living in border villages, and some of the aid reaches rebel hands. That's something which is very hard to prevent, if you don't have control over the receiving side and are doing your best to help a war-torn country from across the border. The bottom line is that reports such as this serve the Syrians. Israel has no interest in involving itself in the conflict and therefore published an official statement of denial. Israel refuses to involve itself in any fashion in the Syrian conflict.